How would you rate your experience with Schnucks Supermarket ? 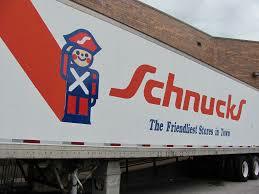 Schnucks Supermarket was founded in St. Louis, Missouri, in 1939 by Todd Schnuck. The company grew rapidly and opened its first large store operation in 1947. By 1952, the company had opened a second location. The store symbol of a solider wasn’t added until 1968. 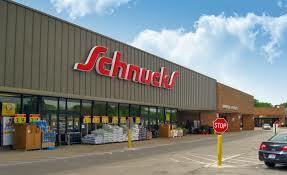 Today, Schnucks Supermarkets has more than 100 locations in 5 midwestern states. The company had annual revenue in 2011 of $206 billion. Schnucks is one of the largest privately owned supermarket chains in America. In 2002, the company acquired 12 Seessel’s stores from Albertson’s. These stores were later sold to Kroger in 2011. Schnucks announced in 2012 that the company had experienced a “system compromise” and that possibly as many as 2.4 million debit and credit card numbers were stolen. The problem has since been resolved, according to the CEO. The company acquired 19 Shop N Save stores in the St. Louis area and in early November of 2018, began to rename and remodel these stores. Question 1: What is the phone number for Schnucks Supermarket? Answer 1: The phone number for Schnucks Supermarket is (314) 994-9900. Question 2: Who is the CEO of Schnucks Supermarket? Answer 2: The CEO of Schnucks Supermarket is Todd R. Schnuck. Question 3: Who founded Schnucks Supermarket? Answer 3: Schnucks Supermarket was founded by Todd Schnuck in 1939. I noticed you don’t have the shopping list for the items circled anymore to print out. Butler hill store. Called and talked to one of your customer service gentlemen but not very nice, kind of rude. Ask if there was some place else that they could put the scented pine cones besides as you come in the door to get your carts, because lots of us with migraines one smell sets the headache off and you smell them while checking out. He just could not stop saying some smart things so useless to talk to someone who must think that people with migraines just have a headache. Was very unpleasant. Needless to say I could not get my shopping done. I am a very loyal customer of schnucks market. my vehicle was hit by several carts being pushed down between cars by the cart guy. I placed a claim this has been a month ago. A lady by the name of Jane Holt at corporate offices called me back chipper and wanting to take care of the $1600 worth of damage on my vehicle. I provided 2 estimates and they agreed to pay the lowest amount to fix my vehicle. now 3 weeks later after she called my cellular phone leaving a message that a check was placed in the mail on 10/05/18. I called her several times to inform her of never receiving it. Now today she refuses to answer the telephone and they continue to hang up the phone when I ask to speak with a claims supervisor. no more. I am calling my insurance company and the news (Elliott Davis) to show ST. Louis how Schnucks treat their customers. This is not ethical and I will be placing my damage of my vehicle on social media public. I want results immediately and not be screwed around by big corporate companies 10/17/2018. I am a disappointed former customer of Shop N Save that has watched all of my favorite brands (Everyday Essentials and Stone Ridge Creamery especially) suddenly disappear from the shelves of my local Shop N Save as they prepare to convert to being a Schnucks store, with the typical Schnucks product mix. 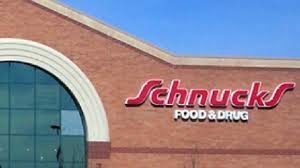 I used to shop at Schnucks a lot in the past (I’m 70 years old and have always lived in the St. Louis / St. Charles metro area), but, in recent years, I’ve noticed the prices going up until Schnucks started to resemble the high priced Dierbergs supermarkets in pricing,but not quite in quality, in my opinion. Shop N Save occupied a convenient middle-ground, with good pricing and good quality in most of their products. Walmart is mediocre in both areas and Aldis is low end price-wise, although their quality has greatly improved in recent years and their limited choices have expanded somewhat. I typically divided my shopping among all of the above, with the bulk going to Shop N Save and certain special items, that I like, purchased from the others. Now my choices are more limited. I would like to suggest to Schnucks management that, instead of “throwing the baby out with the bathwater”, Schnucks could gain the patronage of former Shop N Save customers like me, if they made a deal with the former SuperValu wholesaler (past owner of Shop N Save and now SuperValu + UNFI or North American Premier Food Wholesaler) to carry the Everyday Essentials and, especially, the Stone Ridge Creamery lines in their new (and old) stores. That would certainly bring me into your stores and, I am sure, I’m not the only one. Are there plans to build more Schnucks supermarkets like the one in Des Perez. That place is awesome. It really makes grocery shopping enjoyable and the atmosphere is great. We love Schnucks and shop at the Cross Keys location weekly for food and our prescriptions. I understand Schnucks will start delivering? Awesome! I have developed a small magnetic flag that goes on top of the driver’s roof when then arrive at their destination letting the customer know “HERE I AM!” That is also the name of it. Very cost effective, no scratching, fits under the seat, glove box or in the pocket! I am waiting to get on “Shark Tank”, but thought I’d try it in our market first. Safely,and efficiently helping the customer! Keep up the great work at your stores! My phone number is (314)250-XXXXX My name is Richard Luptowski I live in Florissant. Want to make sure Schnucks Supermarket sees your comment or complaint?